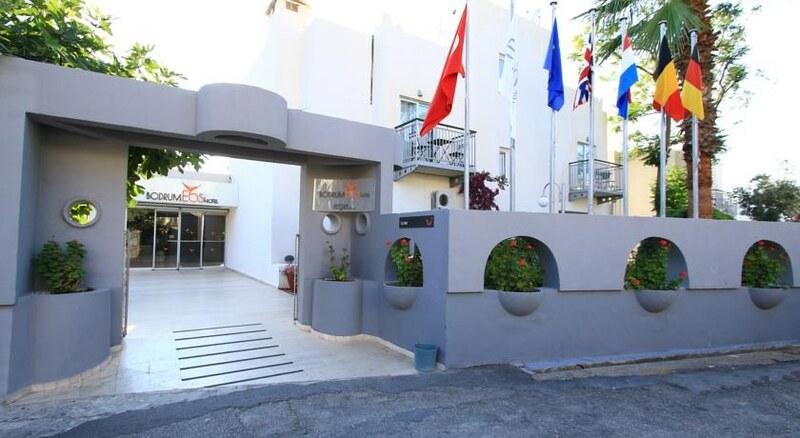 Located in the bustling, cosmopolitan Bodrum, the hotel complex is just 300 metres from the centre of the resort, while the charming town beach is even closer â€“ only 200 metres away. Built in the classical Bodrum white and cubist style, this elegant establishment offers and extensive and beautifully tended outdoor area with 2 large outdoor swimming pools, 2 children's pools and a play area with ping-pong and billiards tables. The on-site restaurants serves delicious breakfast and dinner from an open buffet, while for lunch, guests can choose from a carefully selected Ã la carte menu of authentic local delicacies and familiar international dishes. 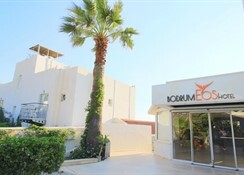 Located in the bustling- cosmopolitan resort of Bodrum- the hotel complex is centrally located being approximately 300 m from the centre and 200 m from the small town beach. 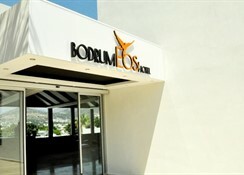 Milas-Bodrum Airport is situated at a distance of approximately 35 km.The complex consists of 2 hotels side by side which have become one with shared amenities. Low rise and in the classical Bodrum white and cubist style- the complex has a restaurant with indoor and outdoor seating and bars. The air-conditioned establishment comprises a total of 107 guest rooms and welcomes guests in a lobby with 24-hour reception and check-out service. 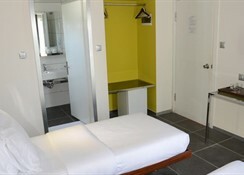 Facilities on offer include a hotel safe- wireless Internet access and a car park. 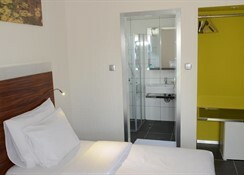 In addition the hotel has a TV room and games room- as well as a small grocer on site.The simply furnished rooms are equipped with individually regulated air conditioning (extra fee)- central heating- a mini fridge- TV- double bed and hairdryer. Guests have a shower at their disposal in their room.The hotel has 2 outdoor swimming pools and 2 children's pools and some light games such as table tennis and billiards (fees apply).The hotel serves breakfast and dinner served in an open buffet form and lunch à la carte.